1. Apply coconut oil liberally to ends and about halfway up hair. This can be done with liquid coconut oil or more firm coconut oil by rubbing it between your hands until it is a balm. 2. Leave on for thirty minutes to one hour. I love doing this before a workout because I toss my hair up in a bun and am getting a deep condition while I sweat. 3. Rinse out thoroughly. I’ll admit I was nervous this would leave my hair heavy and greasy – but I actually found myself applying a little bit more coconut oil to my ends after it dried again to give it that healthy sheen we all crave. *P.S. 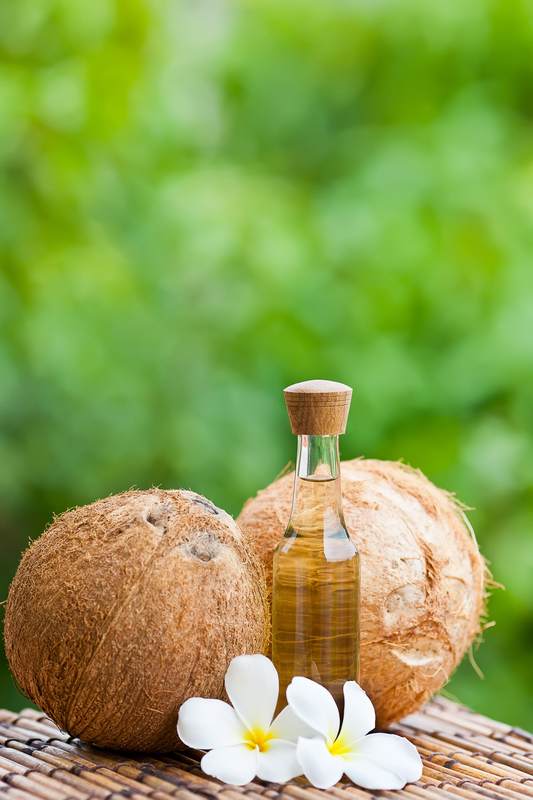 If you want to leave your coconut oil on overnight, massage into scalp so it also acts as a hair growth remedy. The vitamins and essential fatty acids naturally found in coconut oil nourish the scalp and help to remove sebum build-up from hair follicles. What’s that mean?? 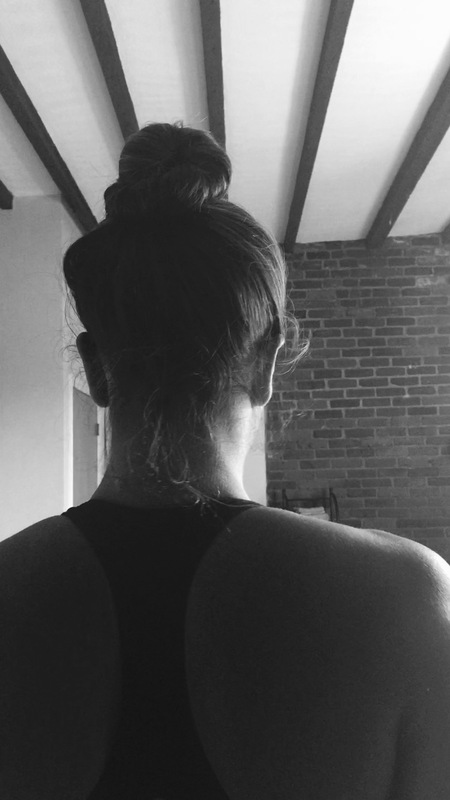 Longer, stronger, hair – who doesn’t want that? We all love to treat ourselves to a mani/pedi at the salon, but we hate the high cost of a salon visit, and we hate salon nails that chip right when you get home to do the dishes. Avoid the cons of the salon, and take the time to do your at-home manicure/pedicure right if you want it to last throughout the week or weekend. Follow our Prep, Polish, Topcoat, Maintain (PPTM) approach for happy fingers and toes. Note: The best time to complete your at-home mani/pedi is soon after you’ve taken a shower. Your nails will be easier to trim and shape at this time. Also, your skin will be more receptive to hold the moisture from lotion/oil. 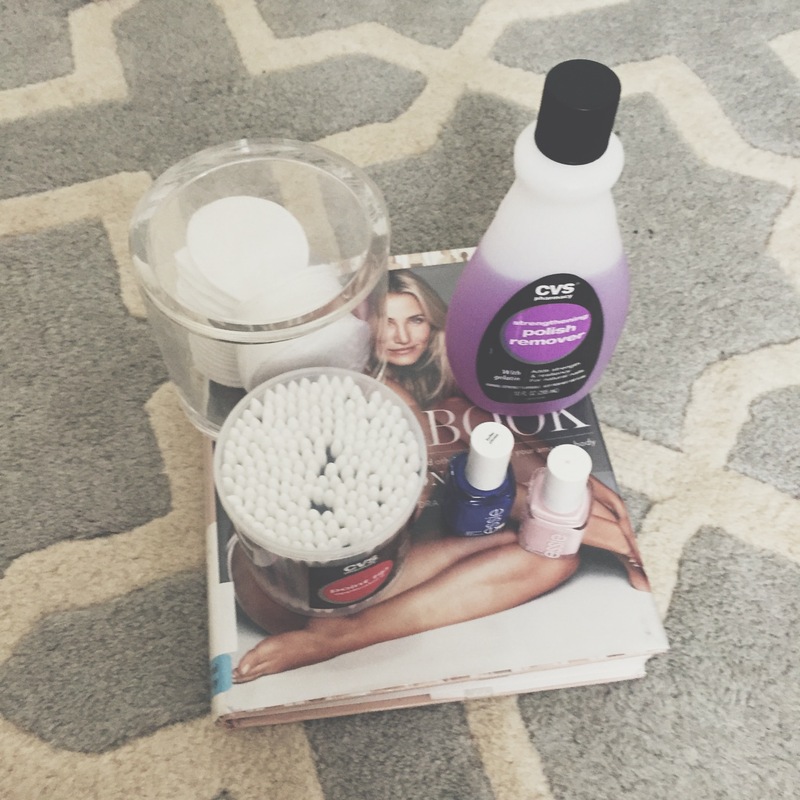 Start by removing all traces of your old polish color using nail polish remover and cotton rounds. Then, use the nail clipper to trim your nails to the length you prefer. To soften cuticles, apply the Burt’s Bee Lemon Butter Cuticle Cream. Gently massage into your cuticles, and then use a pointed q-tip to push back your cuticles so they don’t get in the way of your polish. Once you’ve finished the prep to your hands apply your hand cream of choice. I prefer to use Kiehl’s Ultimate Strength Hand Salve. It has a sort of minty fresh scent that feels super refreshing and moisturizing. BONUS: If you are able to plan ahead the night before you do your nails, try applying the Heel Genius product (or any moisturizer will do) to your feet. The trick is to apply the lotion to clean feet before bed and put on socks before going to sleep to get the full moisturizing and healing effects of the product. You’ll see a noticeable difference, particularly if you are active, and your feet have experienced some wear and tear. Pick your polish! Here we used essie’s Fiji on our hands and essie’s Butler Please on our toes. Apply one coat of polish – the thinner the better. Don’t apply too heavily the first time around because that will slow down the dry time and lead to faster chipping. Let the first coat sit for a minute or two and then apply the second coat. This will also allow for more precise application of the nail polish – less likely the polish will drip off the side of the nail. Use the pointed Q-tips and nail polish removed to clean up any color that does end up falling outside the lines. This top coat is amazing and really makes it look like you’ve just had a gel manicure. PLUS, it dries SO unbelievably fast – and even if you apply soon before bed, you will not wake up with those frustrating smudges on your nails from your sheets. 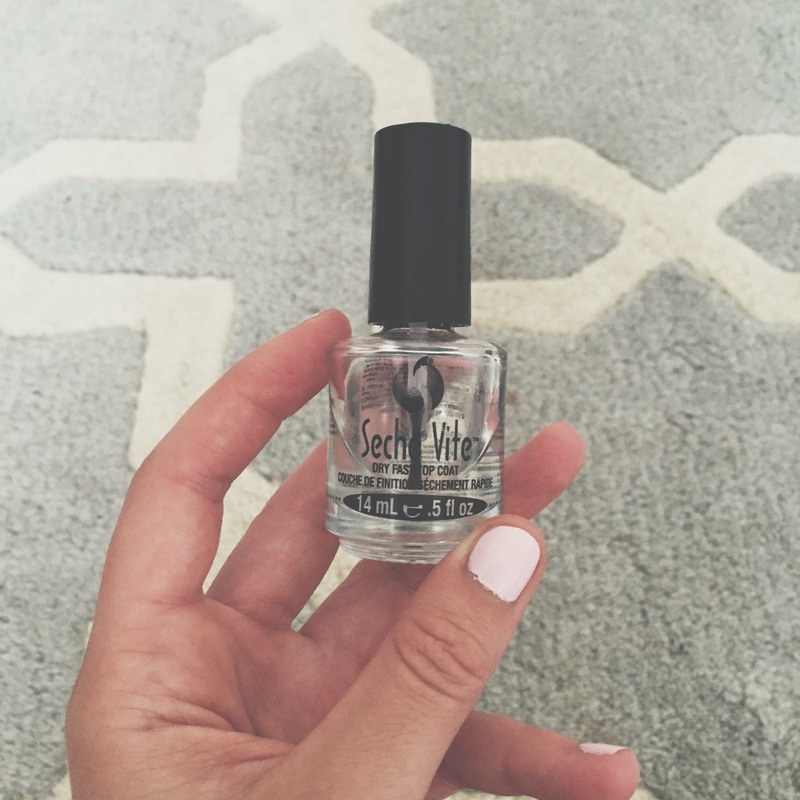 If you are really dedicated to your nails and want to maintain a good manicure pedicure throughout the week, you’ll want to reapply the Seche Vite top coat every other day. The good thing is that this topcoat dries so quickly that you could insert it into your morning routine – swipe a quick coat on your nails before you head out the door and it will be manageable dry in under 5 minutes.